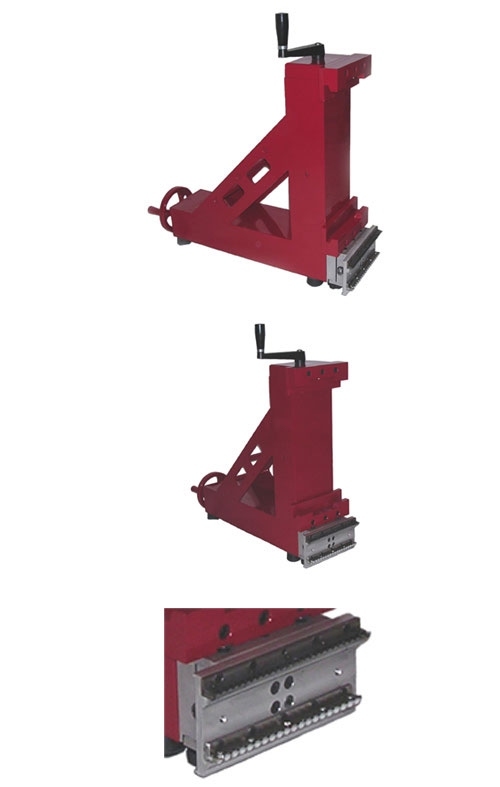 Our newest model, the universal, is designed to fit all models of forklifts in the 3000lb.-6000lb. range. It quickly and easily attaches to the forklift and can be used on forklifts with or without scales. The heavy duty carbide blades give you smooth running reconditioned tires in minutes. The Universal #70100 is designed to fit 7000lb. forklifts and up. Like the #3060 it also was designed to fit a variety of models and is adaptable to forklift using a variety of attachments. Our reconditioning blades consist of a patented two stage system. The rougher blade quickly shaves off the high spots on the tire. The finisher blade is then applied to smooth the tire. Both are constructed of top grade carbide for durability and long wear.